Heya, I’m Angela, mum to Iris (7.5), a very voluble bundle of adorableness I still can’t seem to stop smothering with kisses. The one thing I missed the most from my pre-mama years was time to read. However, as I was reading to toddler Iris one day, I realised I had also added a newfound appreciation of children’s books to my many skills. While adult fiction writers have to perfect their voice, prose, dialogue and plot, with children’s books, it’s much more subtle and in some ways, much more difficult to get just right. Rather than beautifully crafted words, it’s how simple words are used to the best effect. Plot is brought right to the forefront because if you don’t grab a two-year-old’s attention from the get-go it’s bye-bye book. The moral of each story can be obvious but a good book does it in a way that leaves you with the pleasantest of tastes. Not to mention all the amazing illustrations that are sometimes enough to blow any two or forty-year-old away. I love pop-ups and feely books and other such “action-packed” books, but the ones I love best are the simple but perfectly told and illustrated stories. Since Iris herself started to read a few months shy of her fifth birthday, I’ve found more time to read. Especially with her growing list of after-school activities I have to cart her around to, my reading time has also grown. Last year I actually managed to finish 52 books! Unheard of since 2010. 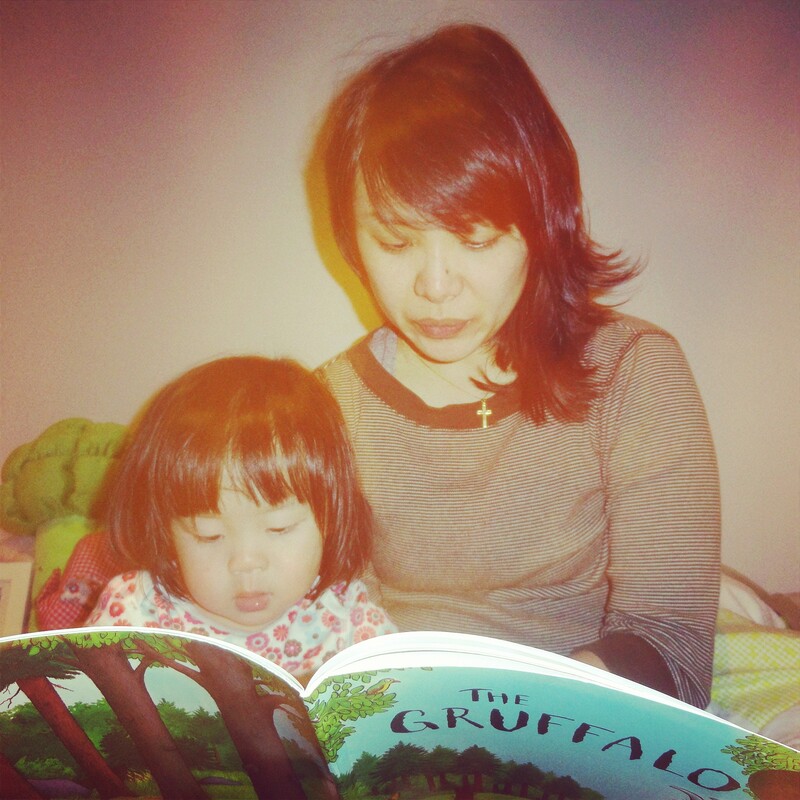 Yet the premise of this blog remains a simple appreciation of the lovely books (both famous and not so) I come across as I teach my daughter to love reading and books as much as I do. It may not be an exhaustive bibliography or clever reading list or witty review or anything remotely useful, but maybe if you’ve secretly enjoyed reading and rereading (again and again and again) your kid’s books as much as I have, you’ll understand what this is all about. PS – I may, from time to time, sneak in stuff about my other passions (cooking/baking and knitting), but not being that ace at them, probably not too often.